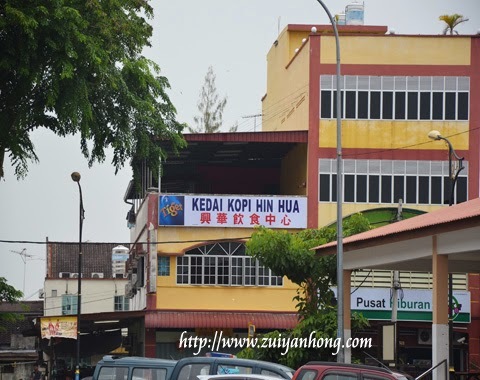 After visiting Sekinchan, we continued our journey to the north of Malaysia Peninsular. 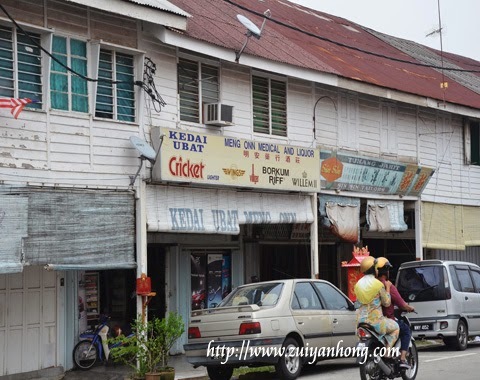 We stopped by Sabak Bernam for lunch at a food court and taking some photos around the town. Sabak Bernam is located in Sabak Bernam District. 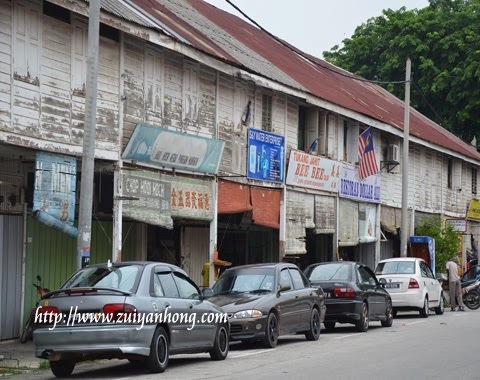 Sekinchan, Sungai Besar and Sabak Bernam are the three main towns of Sabak Bernam District. There is a row of old wooden houses opposite the food court. These houses will vanish in the wave of development. 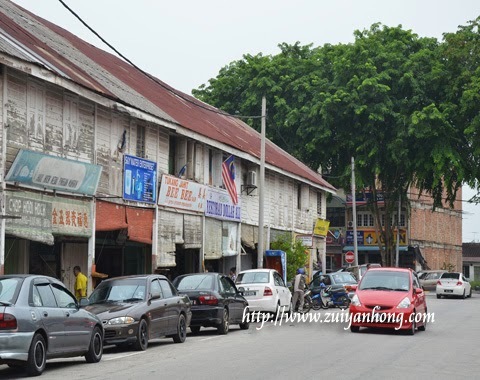 BN government is keen of demolishing old building include historical site. 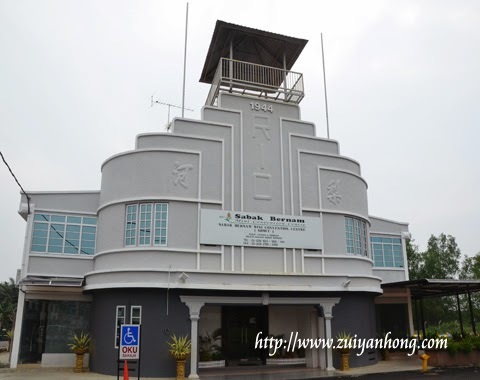 Sabak Bernam Mini Convention Center is built at Jalan Tebedu. The conference hall of the center can hold 200 participants. The center also provides accommodation for up to 60 people. We headed to Teluk Intan to see the leaning clock tower after leaving Sabak Bernam.